Backlinks are a necessity when it comes to ranking high in search engines and generating profitable traffic for your site and your business. 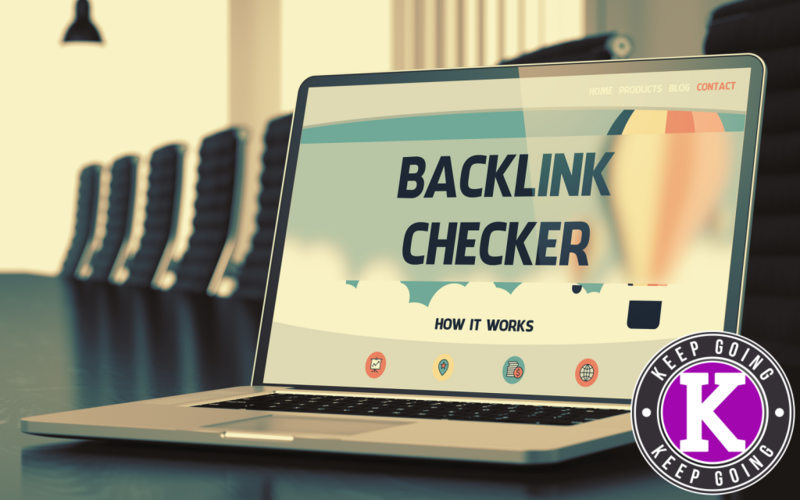 The question is, however, how to get quality backlinks without losing money, or having Google punish you for using sites that aren’t exactly well trusted. Avoiding black hat techniques can be hard if you don’t know where to go, but luckily, we’ve got a solution for your problems. Chirag Kulkarni, an SEO expert that works with the Taco Agency, says there are two easy ways for you to get the backlinks you’re looking for. Working with the Taco Agency, Chirag’s job is essentially link building, where the agency helps other websites make more money on the web by finding good backlinks and steering their clients in the right direction. He tells us what works for him, and the things to avoid during your search for quality backlinks. Let’s get started! Before we can get into the details of what Chirag has to say, however, we have to discuss The CLICK Technique! A method that I invited, The CLICK Technique is a simple, five-step process that you can follow when starting up your business. You need a foundation to start from, and you need to meet certain goals before you can start seeing results. With The CLICK Technique, each letter in the word “CLICK” stands for something you’ll need when getting your market off the ground, and when combined, they work together to give you the traffic and results you’re looking for! When it comes to how to get quality backlinks, the topic falls under more than one letter. In this specific case, we’re going to tally it up under “K” for “keep going”. After things are set into place and you’re ready to generate traffic and leads, you can’t let the lack of overnight success bring you down. You have to keep going, and push boundaries. You need to put in the elbow grease in order for the hard work to truly pay off. With backlinks, it’s no different. After you’ve put together your landing pages set up, and your email marketing is ready to go, you need to keep going and keep producing the kind of quality content that people want to see, and want to link to. Online marketing is a long-haul sort of deal, and how to get quality backlinks is no exception. You need time, patience, and to just keep going! So, how exactly do we generate solid, quality backlinks? Chirag has splintered it down into two easy steps. The first: using a simple software that lets you see what your competitors are using in order to generate their traffic, so you can create content similar to what they’re using. The second: building relationships with contributors and blog owners, which leads to other content creators allowing you to link your content to their website and back onto yours. 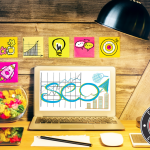 The question of how to get quality backlinks is seemingly made easy when the contents of what you’ve got to do are laid out in front of you, and below, we’ll discuss what Chirag’s two major steps contain and what you have to do in order to achieve results from these plans. What Chirag suggests first is utilizing a site called Ahrefs. Now, what exactly does Ahrefs do? Well, it’s a simple, easy-to-use software that helps you analyze your own backlinks, as well as the backlinks of your competitors. While it’s a paid for software—the most basic plan runs for $100 per month—Chirag swears by it, and the results it can bring you. How it works is you first insert a URL into the software—whether it be your own or that of your competitor. From there, the software gives back all of the websites that point back to said URL. Once you’ve gotten ahold of that information, the question of how to get quality backlinks becomes very simple! You can harness that information as a prospecting tool—for example, if you put in a competitor, you can use their backlinks as a way to reach out, and build a rapport with the links they’re using. Chirag states that it’s a tried and true tactic for getting backlinks. But what do you do with these links—and this information—once it’s laid out in front of you? Easy: guest posting. Chirag says it’s the best way to get the backlinks you want, and reaching out to the content creators gives you a chance to promote what you’re offering. For example, you can start with sending an email to the owner of the site. The contents of the email can contain praise for the people and content you’re seeing, and you can use that as a segue into incorporating your own content. Nine out of ten times, they’ll be open to taking a look—so long as it fits the persona of the website—and from there, you’ve made your connection. That’s step one for link building and how to get quality backlinks. Also, don’t be afraid to look at the backlinks to see what they’re getting. If five out of six sites you’re looking at are getting a link out of specific sources, chances are you will, too. Link building is a tedious process, and building relationships is even tougher. Chirag says to make sure you’re crafting content very specifically for a site, instead of recycling material over and over again. That way, you can guarantee authenticity. The second part of Chirag’s two-step process of how to get quality backlinks involves building relationships with contributors and blog owners. After all, they’re the ones that are going to say yes or no to the content you send them, so making sure things run smoothly are a top priority. A good thing to remember is writing quality, long-form content that’s optimized for your own site first and foremost. Before you send your content off, you want to make sure you have “linkable assets”—or content worth sharing on other sites in order to generate traffic—and if you want to be the authority for a link, you’ll need to write the article yourself in order to get to that position of technological power. It’s also a great idea to link to informational content that has value to the reader as well as the website you’re creating content for. Generally speaking, that sort of content seems natural to Google, which gives you the rankings you want and it helps the reader as well. While generating this content, however, you have to keep certain aspects in mind. When it comes to Google rankings and how to get quality backlinks, two things scale higher up above the rest. First, Google looks at what happens on your site, and second, Google looks at what happens off of your site. The best way to increase these rankings is by having a high DA—or domain authority—website linking back to your website. From there, you can increase your link portfolio, and having diversity in your links is one of the best ways for Google to increase your ranking, too. Remember, though, that Google wants you to get votes from clean websites. Therefore, taking offers from places like Fiverr and other unknown resources could punish you more than it could help. 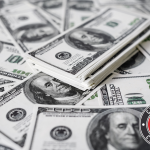 While getting 100 backlinks for $5.00 seems like a smart move financially, you don’t know where these links are coming from, and Google can and will penalize you for it. Avoid black hat tricks, and keep it clean! Lastly, don’t forget the use of keywords! Do your research, and the question of how to get quality backlinks becomes easy to answer. Look at the keywords that are driving the most search traffic. With the use of Ahrefs, you can tell how many people are searching for that specific keyword, and if it’s something that’s pulling enough numbers, your traffic will increase every time someone visits your site with those keywords in mind! Also, make sure to use the keywords in the articles you write that have backlinks to the main site. From there, up to 10% of the keywords will be an exact match. After all, we’re not just building links for the sake of it—we’re trying to post helpful and relevant content that fits in with the actual article you’re writing about. Chirag’s plan is simple, easy to follow, and extremely helpful amongst a sea of confusion and sometimes misleading information. 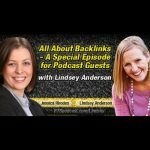 He’s full of amazing tips and tricks, and he gives us the answers we’re looking for when we ask ourselves how to get quality backlinks. With this information, your search to find the backlinks and traffic you’re looking for should go a whole lot smoother!